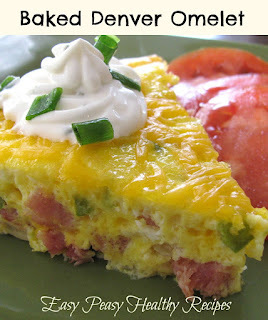 This baked Denver omelet is super easy to make and it is also delicious! This is low in carbs and makes a very filling breakfast. This recipe is for a traditional Denver omelet but it is also very good with bacon, spinach, mushrooms or whatever you prefer. 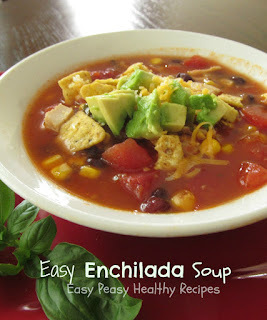 Optional toppings are a dollop of sour cream and chopped green onions. 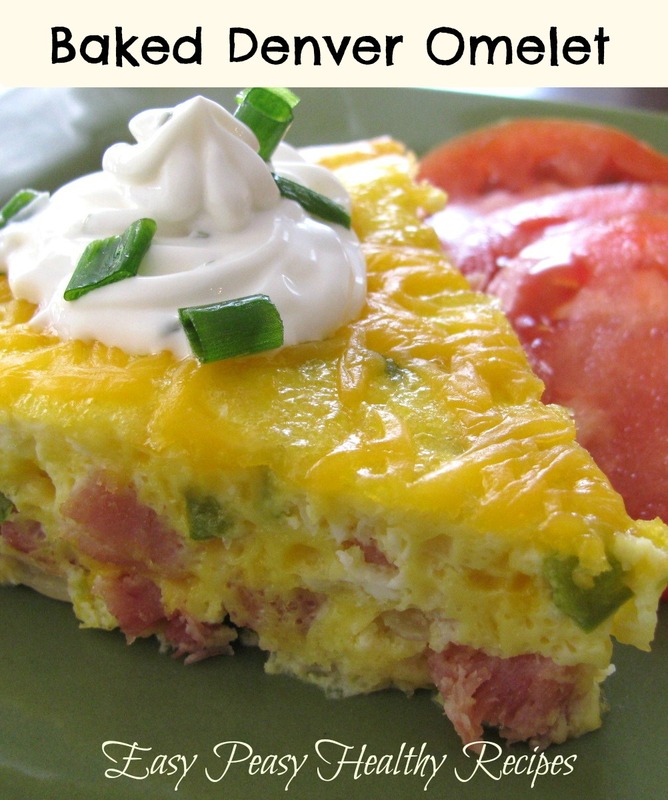 Here's what you will need: eggs, ham, green pepper, onions,milk and shredded cheese. Cook the chopped green pepper, onion and ham in butter until peppers and onions are tender. Stir together the eggs, milk and cheese and then combine together with the ham mixture. Spray a 10 inch pie plate with non-stick spray and pour mixture into it. Bake for 25 minutes at 400 degrees. Serve while still warm. 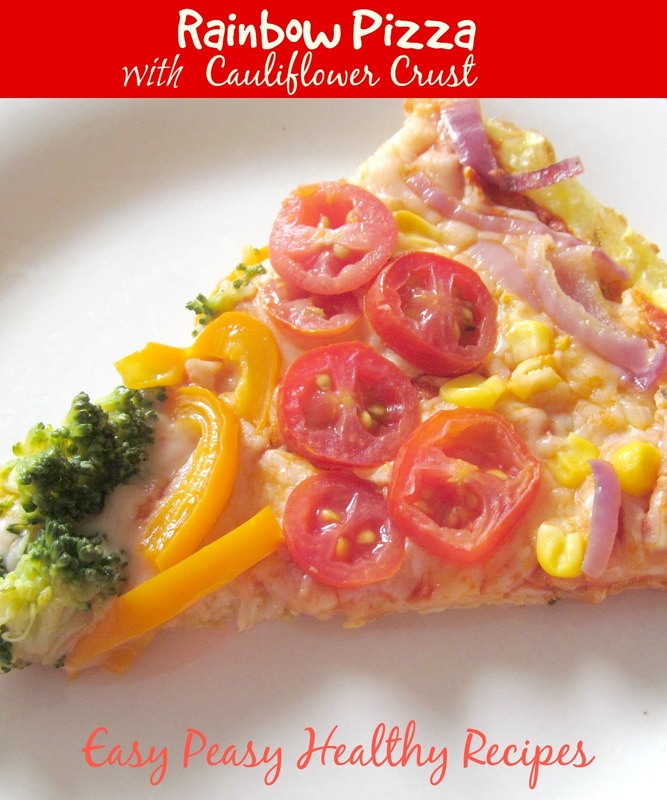 This is the ultimate pizza for veggies lovers. The crust is made from cauliflower and it is topped with a rainbow of healthy veggies. This recipe below makes one 9 inch pizza but it can easily be doubled to make a couple of pizzas. 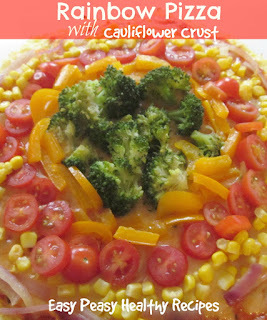 This can also be made using regular pizza crust. I recently discovered frozen riced cauliflower that is already prepped and ready to use and I love it. 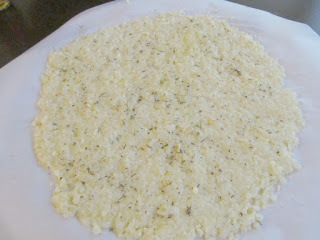 I still make my own riced cauliflower and the step by step instructions can be found here. But this prepackaged stuff is super convenient and sure does save a lot of time! In a medium bowl, stir together the riced cauliflower, egg, and mozzarella cheese. Add the Italian seasoning, garlic and salt. Transfer to a cookie sheet lined with parchment paper. Using your hands, pat into a 9 inch round shape. Brush olive oil over the top. 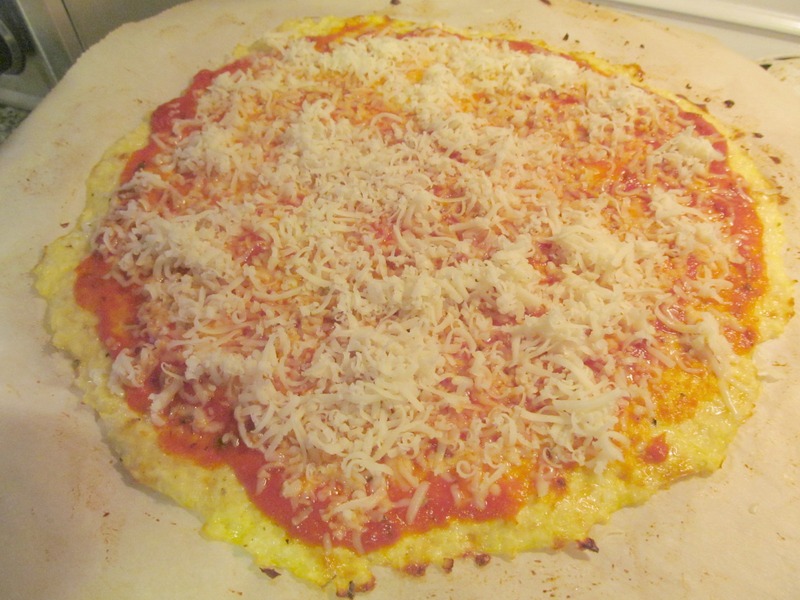 Spread pizza sauce over the top and sprinkle with shredded mozzarella cheese. 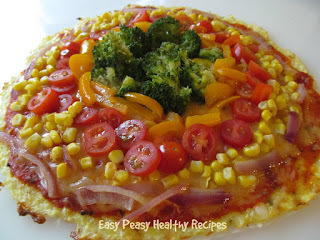 Arrange veggies into circular pattern, starting in the middle and working your way to the outer crust. Return to oven and bake for 5 minutes until cheese is melted. Remove from oven and spread pizza sauce over the crust. Sprinkle shredded mozzarella cheese over the pizza sauce. If desired saute peppers and onion in a tablespoon of olive oil until tender. Arrange veggies into circular pattern, starting in the middle and working your way to the outer crust. Return to oven and bake for 5 minutes until cheese is melted.